Stem cells are our body’s repair system. They are responsible for the regeneration of body tissue so that somatic cells of the bones, cartilage, connective tissue, tendons, heart, nerves, skin and the like are regenerated regularly. Furthermore, stem cells have powerful anti-inflammatory properties. Due to this double function, stem cells are also described as medical all-rounders. Bad backache or spine illnesses are unfortunately not uncommon. About 80% of the population are affected at least once in their life. The triggers can be a deterioration of the musculoskeletal system or inflammatory changes. 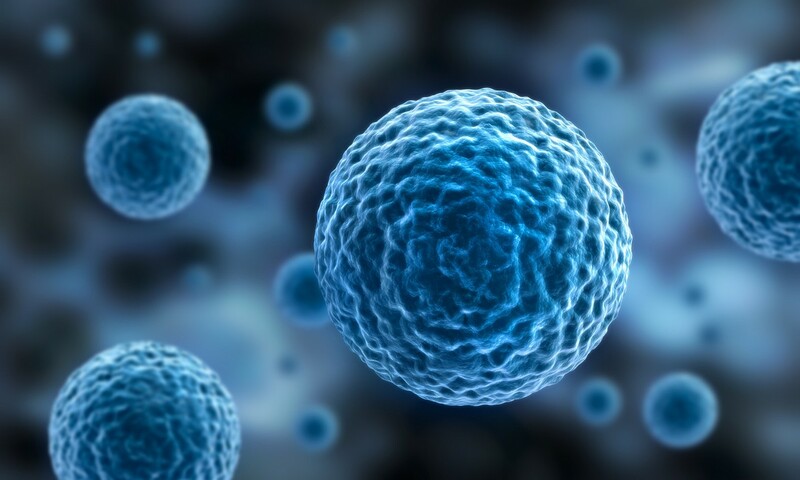 Modern stem cell therapy treats both wear and tear and inflammation processes. Surgical interventions can be successfully avoided in many cases. You can read more about stem cell therapy for arthrosis of the spine. Arthrosis of the knee describes the aging and abrasion of the articular cartilage. Causes are normal symptoms of old age, accidents, constant overstraining, being overweight and also genetic factors. Arthrosis of the knee causes great pain that can lead to improper strain, whereby the deterioration of the articular cartilage is accelerated. Modern stem cell therapy stops this process. The pain is soothed and knee joint surgery is successfully prevented in many cases. You can read more about stem cell therapy for arthrosis of the knee. Arthrosis of the hip is a disease of the hip joint triggered by the wear and tear of the cartilage surface, of the acetabulum and the femoral head. The rubbing caused by movement between the femoral head and the acetabulum can thus not be sufficiently absorbed, causing great pain and restrictions of movement. Modern stem cell therapy helps to rebuild damaged cartilaginous tissue and, in addition, possibly stop the development of inflammations. Pain is soothed and the insertion of a hip prosthesis is successfully prevented in many cases. You can read more about stem cell therapy for arthrosis of the hip. If pain in the shoulder joint results from wear and tear and causes every movement to become excruciating, we refer to this as arthrosis of the shoulder. The reason is the degeneration of the cartilage tissue on the scapula and the head of the humerus, which leads to bones and joint rubbing against each other with no protection. This causes severe pain. Movements frequently become excruciating. Modern stem cell therapy stops this process and makes the patient mobile and free of pain. In many cases, surgical intervention can be successfully avoided. You can read more about stem cell therapy for arthrosis of the Shoulder. Arthrosis of the finger joints overburdens and wears out the small joints of the hand, which can lead to a significant reduction in mobility. Arthrosis of the hands makes it difficult to grasp objects or to execute rotating movements and is usually accompanied by pain. Women’s hands are affected ten times more frequently than men’s hands. Very often, symptoms appear with the onset of middle age. Treatments are targeted at restoring mobility to the affected joints. Currently, stem cell therapy is the most effective way to reduce inflammation and pain in the small finger and thumb joints.You can read more about stem cell therapy for osteoarthrosis in finger and thumb joints. Overexertion and infections of muscles and tendons are extremely painful. If treated incorrectly or too late, these conditions may lead to extended convalescent periods. The most modern form of stem-cell therapy helps affected tendons and muscle groups regenerate rapidly. We offer treatment for achilles tendon injuries, Sinding-Larsen syndrome (Jumper’s Knee), tendinosis/tendonitis, adductor pain, rotator cuff injuries, tennis- and golf-elbow as well as other disorders of the muscular and tendon structures which may affect athletes and less athletic persons. Treatment is usually administered via the injection of stemcells into the affected area, and a systematic therapy may be indicated as an additional or alternative form of treatment. Where there is a wound or scar, the body tries to replace the damaged tissue. This is how wounds are closed. Scars heal burn some cases, this process does not succeed or is slow. The reasons can be caused by genetic factors or the normal aging process as, at a younger age, the body can replace damaged cells with new ones much faster and more easily. Clinical research has shown that modern stem cell therapy stops the inflammatory process in wound and scar healing and stimulates the regeneration of cells. In most cases, modern stem cell therapy sets in where problems and complaints are. This means that stem cells are injected directly into the damaged tissue and can unfold their effectiveness there. In individual cases, systemic treatment is an effective alternative. In this case, stem cells are administered intravenously. You can read more about intravenous treatment with stem cells. Every person carries stem cells inside them until a great age. They keep the human organism alive and make sure dead cells are replaced. As this process becomes ever slower in the course of the normal aging process, a disproportion develops between cell reduction and cell replacement. This process cannot be stopped yet be noticeably slowed down with the help of modern methods. One of the aims is to improve the resilience and elasticity of the skin, quality of the hair and structure of the hair and to give physical activities new energy. Hand rejuvenation with stem cells taken from autologous fat is a combined method of treatment to combat signs of aging on the hands. It addresses and treats both aesthetic aspects as well as problems with joints which arise through normal wear and tear. This assures that your youth is noticeable not only in appearance, but also seen in smooth, flowing movements. Read more about hand rejuvenation with stem cell therapy. Stem cell therapy is still in its infancy, and therefore long-term studies are not yet available. Initial clinical studies, however, have achieved important results in treating a multitude of diseases. Research results show great potential for the treatment of neurological diseases, autoimmune diseases and other chronic diseases, as well as possibilities for repairing organ damage and tissue weakness. The treatment spectrum resulting from this research has yet to be fully explored. According to the current state of scientific expertise, stem cell use will allow the treatment of diseases related to modern civilization such as cancer, diabetes and Alzheimer’s, and organic diseases of the heart, skin, lung, liver, bone and cornea, as well as many others. You can read more about the future of stem cell therapy. Do you have any questions about therapy using stem cells? Our specialists for regenerative medicine and stem cell therapy , PD Dr. med. Ralf Rothörl and Dr. med. Erich Rembeck, will be happy to provide you with more information in an individual and personal appointment. Please make an appointment here. We are looking forward to seeing you!